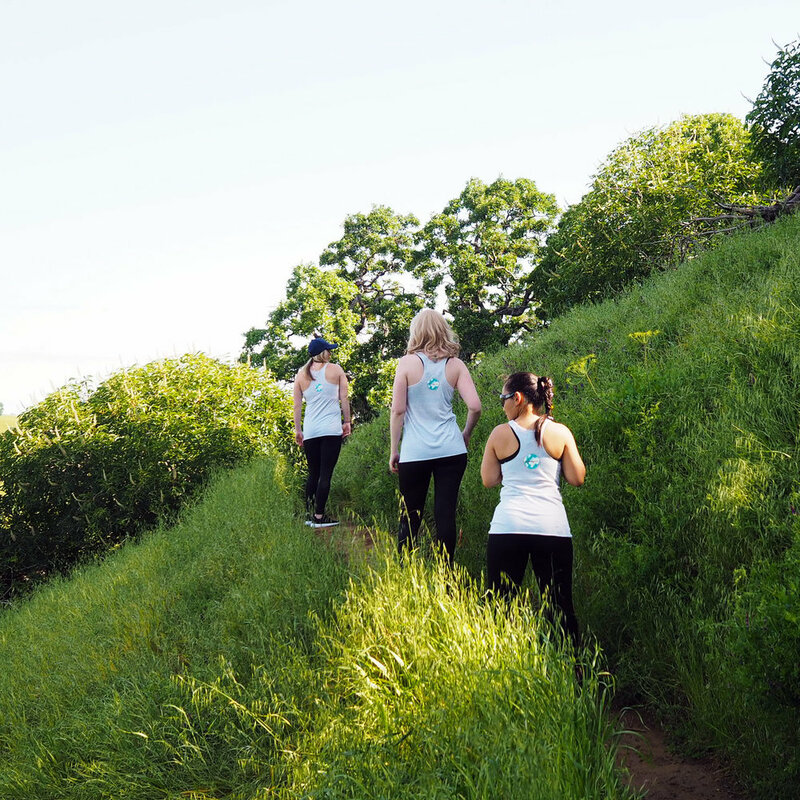 Traveling, hiking, yoga, running errands, or even lounging - show your passion for world travel in this comfortable, light-weight racerback tank top. We were looking for a tank top that drapes a bit that has some stretch to it. After finding the right one to fit our needs, we've stamped it with our own logo to add some personality. Simple yet confident, practical yet fun, most definitely ready to get there, get lost, and take the next adventure! Light heather gray tri-blend racerback with scoop neck made by Next Level Apparel. Machine wash cold. Hang dry. Do not iron. Runs slightly big.